“Tramigo” – portable GPS tracking devices available for fleet management or personal trips. By carried it into motors, a person can follow the exact destination. Contact us if there are some questions about “Tramigo” vehicle tracking. 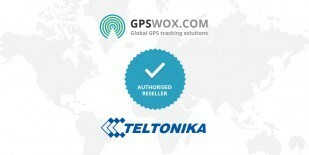 Tramigo GPS Tracker devices support GPS Tracking Software provided by GPSWOX. We are offering affordable price for Tramigo GPS Tracker online. Do not wait and get your own Tramigo GPS Tracker device which support GPS Tracking Software.